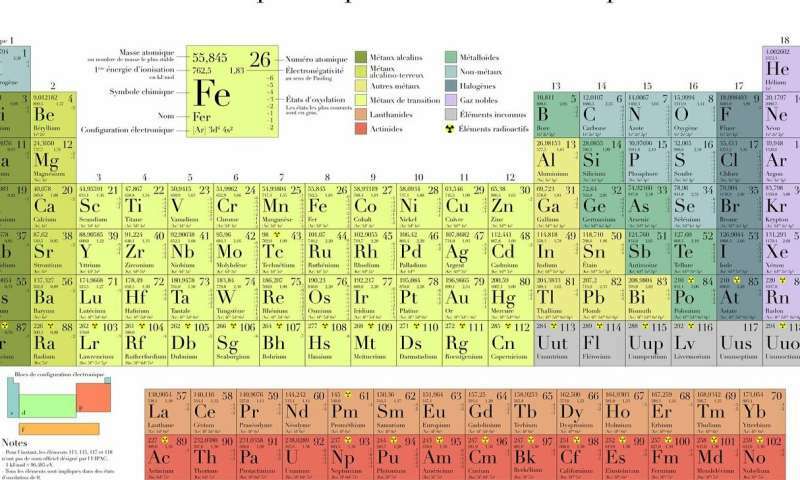 Anyone who has studied chemistry will recognize the table, which organizes all chemical elements by the number of protons in a given atom and other properties. Russian scientist Dmitry Mendeleev published the first such table in 1869. The U.N. Education, Scientific and Cultural Organization kicked off the "International Year of the Period Table of Chemical Elements" on Tuesday with a ceremony including a Nobel chemistry laureate and Russia's science minister, among other dignitaries. Other activities UNESCO is organizing this year include an online competition to test high school students' knowledge of the table, and scientific experiments brought to schools around the world.